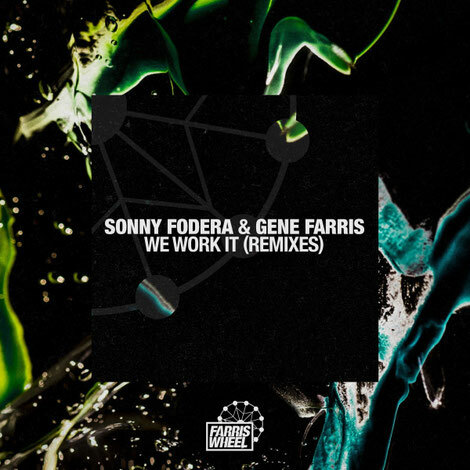 Farris Wheel continues its 20 year anniversary celebrations with a remix EP of possibly one of the most successful house records of the last few years: Sonny Fodera & Gene Farris’ ‘We Work It’. Sonny and Gene’s 2015 collaboration was a record that apparently lodged itself in the Beatport Top 10 for months, and raised the profile of both artists. Three years later and in the same year that Gene’s Farris Wheel Recordings celebrates its 20-year anniversary, ‘We Work It’ has been reworked by four producers: PAX, Sacha Robotti, GAWP and CJ Jeff. Aaron Taylor and Charles Robinson aka PAX kicks things off with a house rework that strips things back to its bare essentials, delivering both a heady atmosphere and groove. Sacha Robetti’s tech remix adds metallic clangs and fizzes for its rework. Capping off the year, GAWP joins the remix party with a glitchy dancefloor mix than fizzes, while completing the package, CJ Jeff’s dubby techno version is rich with melodies and drums. 2018 sees Farris Wheel locked back into a regular groove of releases after a few years absence, with Paul Johnson, Roy Davis Jr, Sydney Blue all set to release over the coming months. Check it out below, it’s out 7 December.